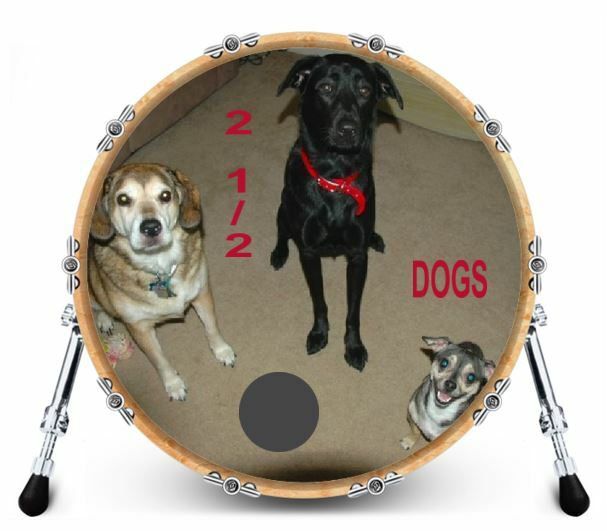 Anyone have a bass drum head made with your band logo on it? Which company did you use and how did you like the results? I would only use DrumArt. I’ve had 3 heads made by them. View attachment 390398 View attachment 390396 View attachment 390397 I would only use DrumArt. I’ve had 3 heads made by them. Very nice. Do they place the hole as well? And you give them a jpg? Another satisfied drumart.com customer here. I've used Drumart three times. I'll use them again and again in the future. I know a guy who knows a guy who I have paint a couple heads. i used Evans Inked. I wanted to use drum art but the Evans is sometimes on Sale on ebay...$30 is about 1/3 of the cost so the savings was pretty significant. Results were good. I prefer Aquarian heads which is what Drumart uses...Evans obviously uses Evans and you have to have their logo on the head. Not yet, but I got one ready in the bin. drum art does nice work, but you have to PAY to not have their logo on your head. Another vote for DrumArt.com. I have 18, 20 and 22" heads from them. Great product, highest quality, and great to deal with. DrumArt all the way. And it's surprising how much interest and conversation Mojo generates among audiences. I just put this kit together. Vinyl Flag made the decals for $30 (if I recall) & I installed 'em myself. thanks for these links! i am thinking of having something custom for my name and since i play in too many bands. Love it! I miss by black lab, Sophie everyday.